I travel to see Dr. Vories in 12 days to have surgery! I hope to have about 2,000 grafts relocated! Most of the grafts will be transplanted to the front with a little work on the hairline and an area just behind the hair line that Dr. Vories wants to make a bit thicker. You really can't see the area when your looking straight at me but I can see it in the mirror and its more obvious when I dip my head (like the first picture). The second picture was taken at the 2012 International Hair Surgeons conference in the Bahamas. 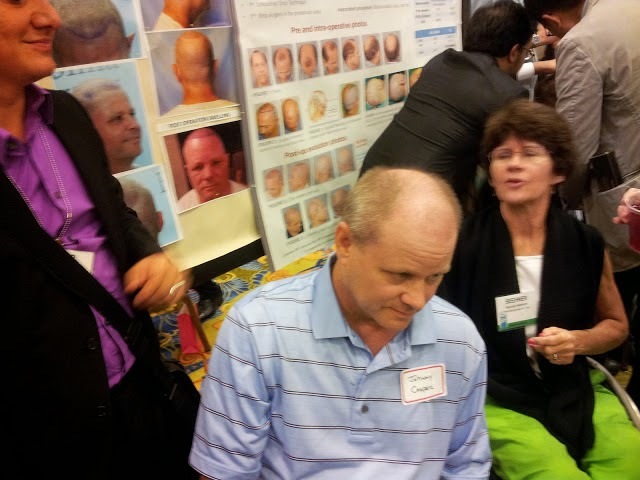 I was on display and being examined by hair surgeons from all over the world. The conference and pictures were taken five weeks after receiving 5,125 grafts in September of 2012. Hair restoration Pune has advanced medical treatment to remove the scalp baldness by removing the hair from donor area to the recipient area.